The narrow lanes north west of Woodbridge, threading in spring through high banks of mallow and angelica, now and then come together at villages; honest, working villages, straight out of the pages of Akenfield. They are independent of each other, and often known for something. In Hasketon's case, it is the Turk's Head, its fine pub. Otherwise, this is not a village on the way to anywhere in particular. Coming back here in the late autumn of 2007, I didn't pass a soul as I cycled from Great Bealings. Most of Suffolk's round-towered churches are up in the north-east. But here in the south is one of the finest, with its flint-set lancets and octagonal top. The scale makes the church against it seem small, but you step into a wide, light space. 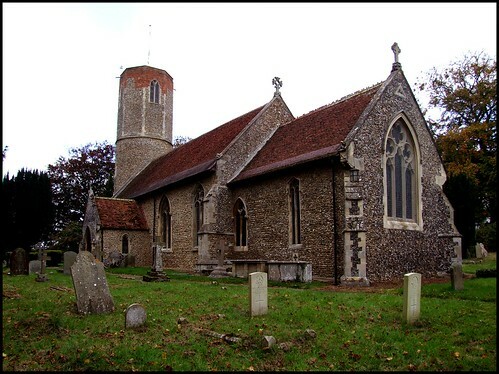 In several ways, this is a very typical Suffolk village church. Not much evidence of its medieval life survives, but the restoration has left a pleasing, light interior. 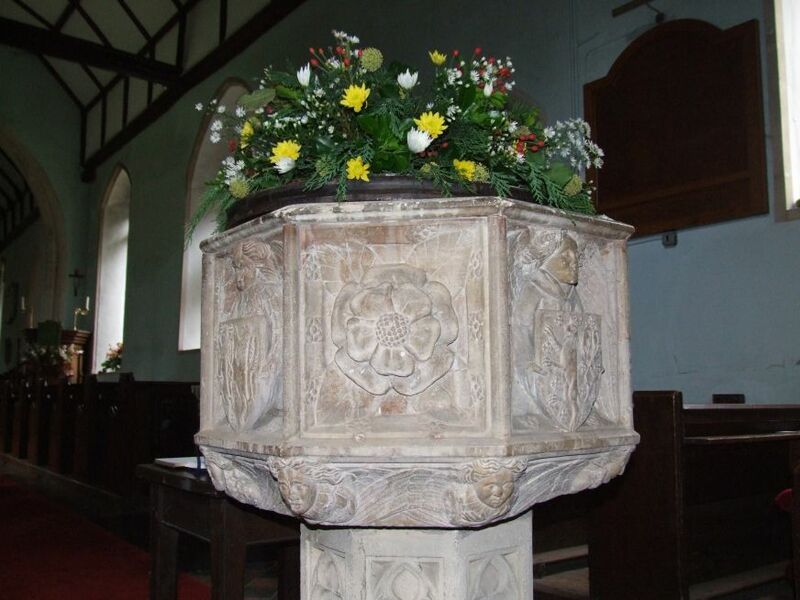 One reminder of earlier days is the 15th century font with its heraldic shields. 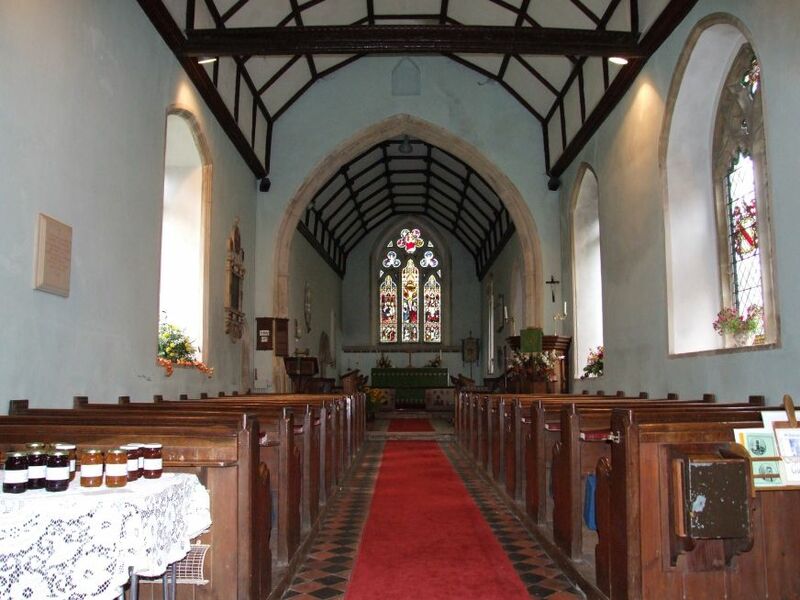 I came here just after the harvest festival, and it seemed a perfect setting for that most thoroughly Anglican of events. 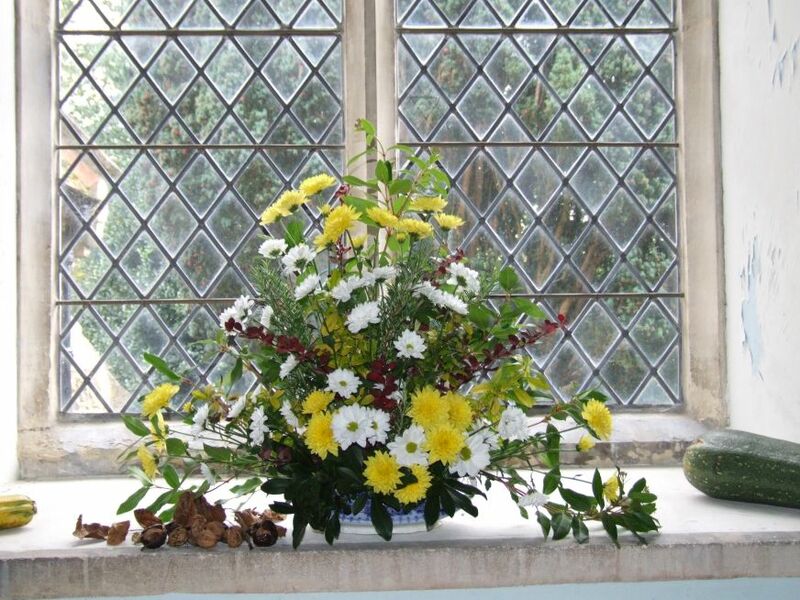 The north doorway was filled with yellow sprays erupting from an earthenware vase, and the decorative glass opposite was a perfect complement. 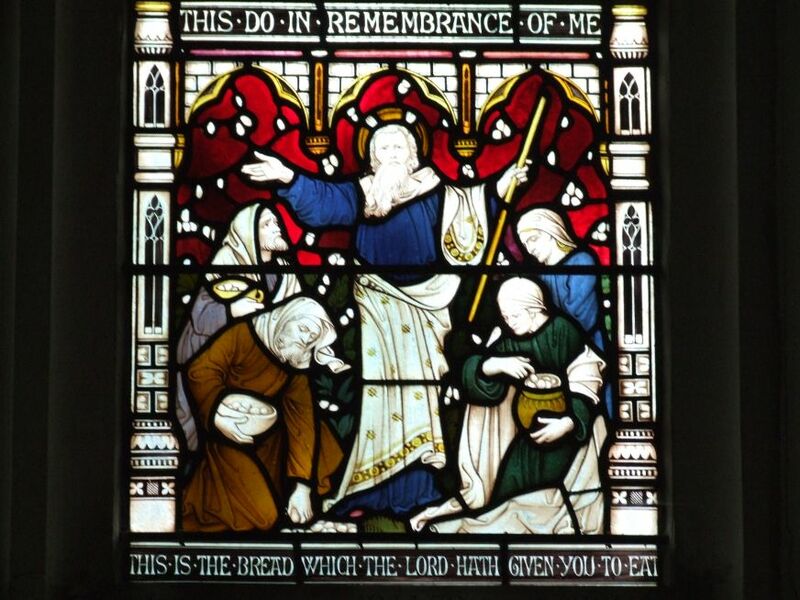 There is some decent 19th century glass in the chancel by Lavers, Barraud and Westlake. 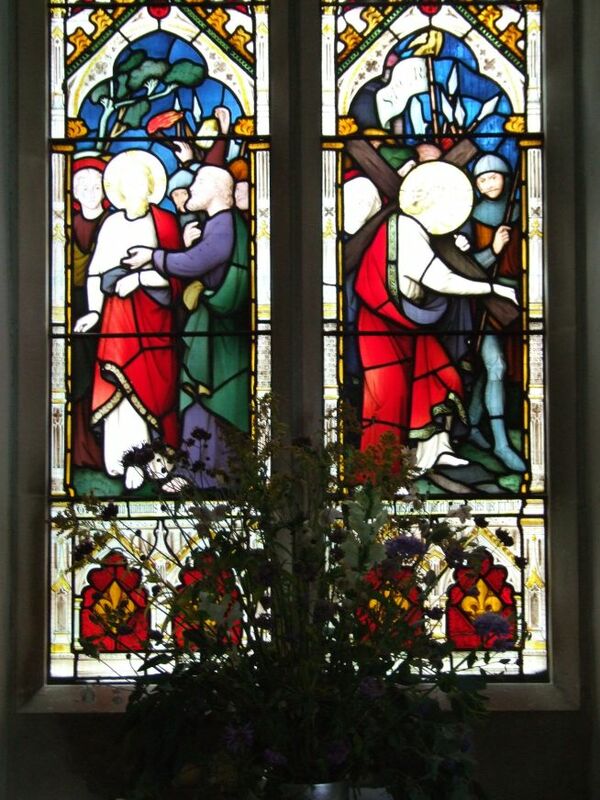 The crucifixion is strikingly similar to theirs at nearby Great Bealings. When I'd last come this way eight years previously, two memorials had caught my eye; one is in brightly painted alabaster and touchstone, full of the grandeur of the late 17th Century. The other is an early 17th century elegy, typical of its period, but seeming almost absurd to us today. The first is to William Godstone and his two sons, merchants of Smyrna. The other, to William Farrar, who died on the eve of the Civil War at the age of 15, reads in part: If on his yeares you looke, hee dyd but younge, If on his vertues, then hee lived long. He was the son of the Parson.The crowded churchyard is surrounded on all sides by hedges and roads. Two footpaths cross it, and were in regular use during my visit, as people walked from one part of Hasketon to another. 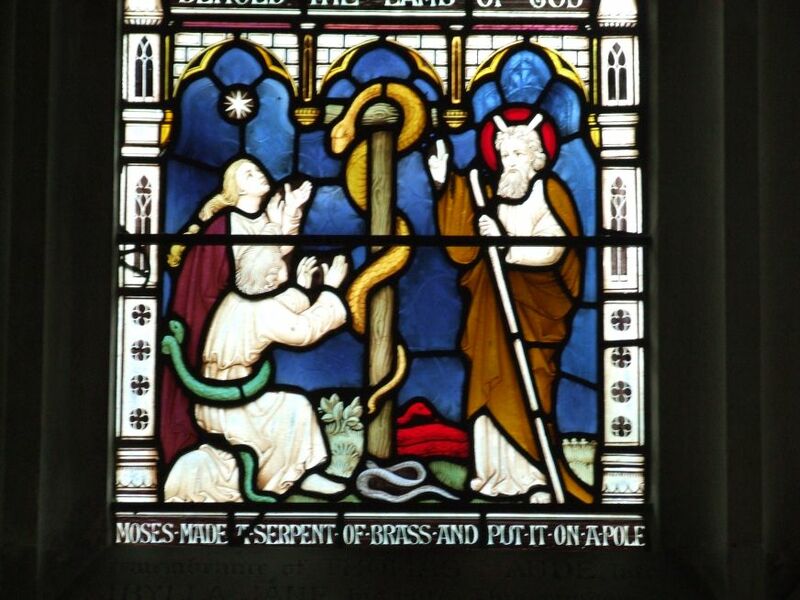 St Andrew must feel at the heart of their village.